Josh Wright is an American pianist who was on season nine of the television show America’s Got Talent. He has been a performer at events and conferences across the country, and has released five albums. Wright began playing the piano when he was just four years old. As time went on, he developed his own style and spin on traditional piano playing. His audition for America’s Got Talent has been called “explosive” and involved fire and paint on a white piano. Having performed around the United States and Europe, including at Carnegie Hall, Wright is no stranger to performing. He is also well educated, having earned a Doctor of Musical Arts degree from the University of Michigan. Wright is also on the piano faculty at the University of Utah. 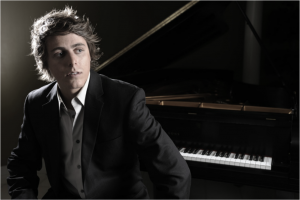 Among other awards, Wright has won the Mazurka prize and was a prizewinner at the 2015 National Chopin Competition. His self-titled album topped the Billboard Classical Traditional chart. He has performed with several orchestras and symphonies, including the Utah Symphony, Great Falls Symphony, Chopin Foundation Orchestra, Temple Square Orchestra, Salt Lake Symphony, and the American West Symphony. Wright loves teaching and has been a guest lecturer at several schools. He has also created several online video courses and enjoys posting tutorials on YouTube.